West Point, N.Y. -- The wooden grip is slightly worn and the metal barrel shows signs of tarnish, but every mark and stain tells the story of the pistol's journey. 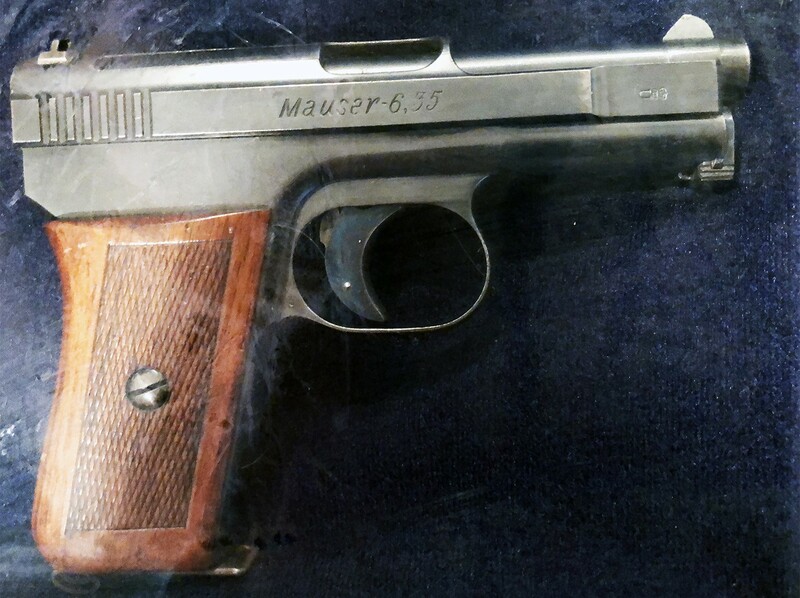 The German Mauser 6.35 pistol was brought home from World War I by American Soldier Manes Novello. Encased in glass, 100 years after he brought the weapon home, it sits in his daughter's house as a permanent testament to his time of service during which he was awarded two Purple Hearts. 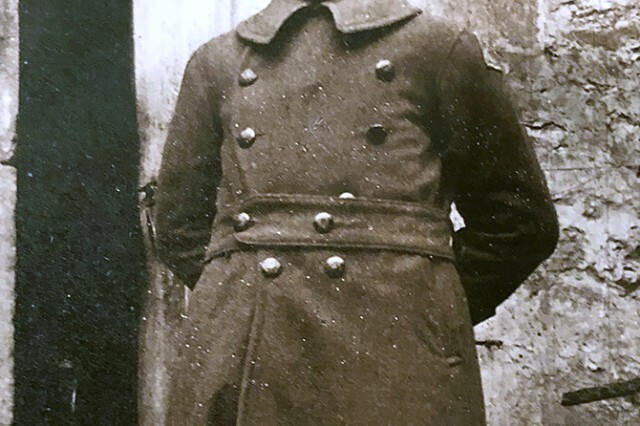 Almost a century after Novello's service ended, his story and the weapon he brought home inspired his great-granddaughter, Class of 2019 Cadet Amelia Grabrovic, to follow in his footsteps and attend the U.S. Military Academy as the first step in her own journey of service. 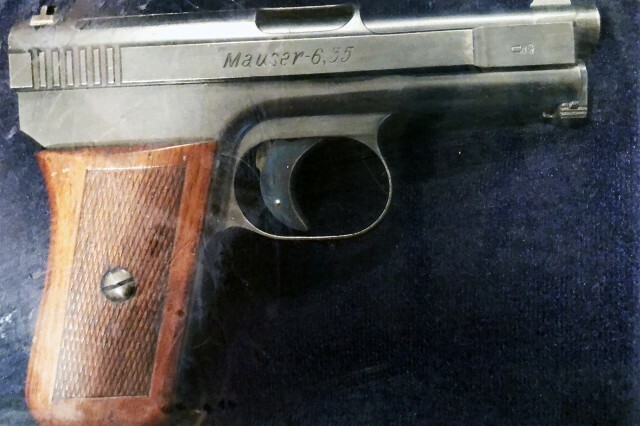 "It constantly reminds me of the sacrifice he made for this country," Grabrovic said of her great-grandfather's pistol. "He was born in Italy and migrated to America. Soon after, he was already willing to give his life for this country. This is very inspiring to me, and has had a big impact on me deciding to join the Army." World War I officially ended 100 years ago, Nov. 11. Three generations have passed between the American Soldiers who fought and died upon the battlefields of France and cadets learning to be leaders in the Army at West Point. Although they never met, cadets whose ancestors fought in the Great War have still found inspiration from their forefathers' service as they prepare to begin their own. "Having an ancestor participate in World War I makes the 100th year anniversary special on a personal level to me," Class of 2021 Cadet Angeline Tritschler said. "It amplifies how it doesn't matter how or where you serve; your service can and will make a difference and that difference might not seem significant at that time but will be later in history." As the U.S. Army expanded from less than 100,000 Soldiers to 4 million in a short time, Tritschler's family member Charles Dana Gibson found his own way to serve and use his talents to support the war effort. An illustrator by trade, he was put in charge of the Division of Pictorial Publicity under the Committee on Public Information and tasked with overseeing the creation of artwork to promote the war. The artists under Gibson's direction created iconic images such as the Uncle Sam "I Want You" posters and raised money for the war effort by promoting the sale of bonds. While his contributions may not have been on the battlefield, Gibson's story has encouraged Tritschler to look deeper into her family's history of service to country as she prepares to serve herself during her time at West Point. "My time at West Point has definitely changed how I see my family's story," she said. "I've learned so much more about it since coming here. For example, I learned that I have two ancestors who attended the academy when it first opened that I never knew about. One of them was a general in the Civil War and the Spanish-American War. Every day it seems I am learning about a new ancestor and their story." Class of 2021 Cadet Nathaniel Olsavsky carries his families' legacy with him every day. His middle name Joseph harkens back to his paternal great-grandfather Joseph Liko who served as a private in the Army during World War I. 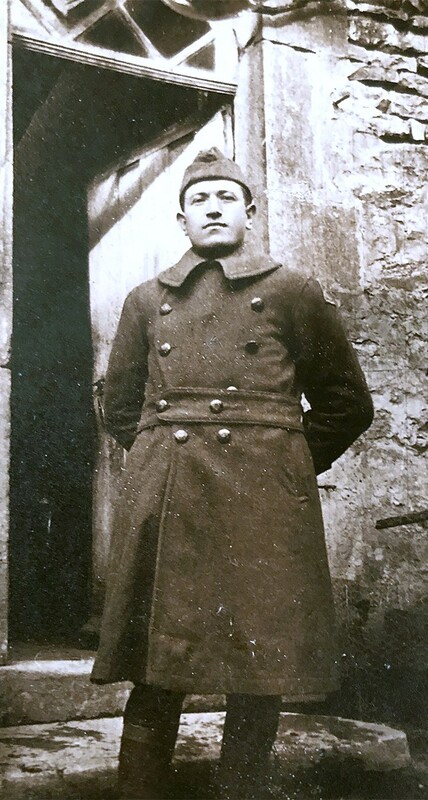 More than 130 years after he was born and 100 years after he served in the Army, Liko's story has encouraged multiple generations to follow in his footsteps and join the Army. "This connection definitely inspired me to join the Army and pursue an appointment from West Point," Olsavsky said. "The family history of how both my grandfather and great-grandfather served in the Army, and the stories of hard times and uncertainty in the world attracted me to serve in the Army. My initial desire came from my grandfather who served in World War II and the Korean War, and I later became interested to learn more about my great-grandfather." That connections to his family and the man whose name he carries have only deepened during his time at West Point, Olsavsky said. As he spends his days with fellow cadets who have chosen to serve and who are willing to sacrifice their lives for America, Olsavsky said he draws comfort from the stories of his great-grandfather and grandfather as he knows he is sharing, "the same camaraderie that my great-grandfather experienced." "The 100-year anniversary reminds me of all the men and women, from all different backgrounds who gave their all, some making the ultimate sacrifice," Olsavsky said. "They became a true part of something larger than themselves and dedicated their lives to their love of country. The call to service to our great nation is the same as it was 100 years ago, connecting the present with the future." Much like Olsavsky, Gabrovic's time at West Point has enabled her to feel closer to her great-grandfather and encouraged her and her family to look more deeply into his story. They recently received the honorable discharge papers for Novello, where they learned more about his Purple Hearts, which are kept by Gabrovic's uncle. 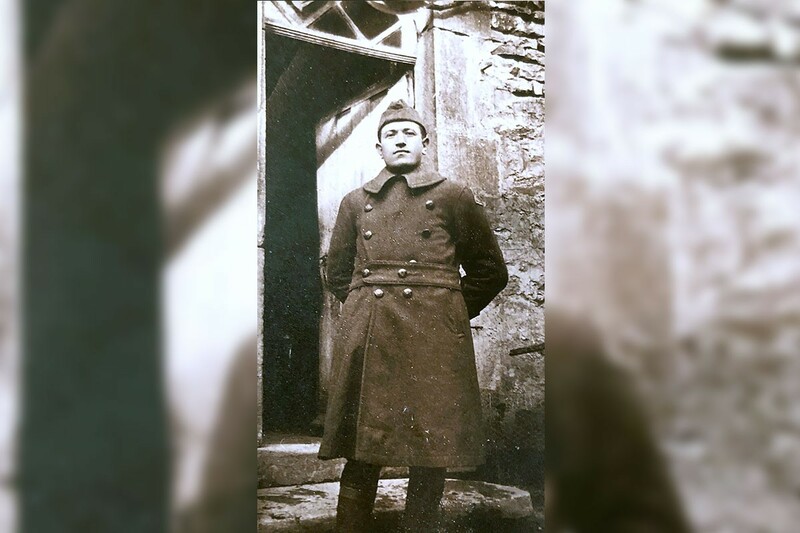 Those papers opened up a whole new world of discovery to Gabrovic and her family as they were able to see which battles her great-grandfather fought in during his time in the Army. "My parents researched these events, and also found out that he served under General Pershing at one point," Gabrovic said. "They looked into the specific battles, engagements, skirmishes and expeditions he was involved in. We are going to look further into the information on his discharge papers to see what else we can discover."